It began in Utah back in 1977. On January 17 of that year, Gary Gilmore became the first man to be executed in the US for more than a decade, ending a national moratorium on the death penalty. 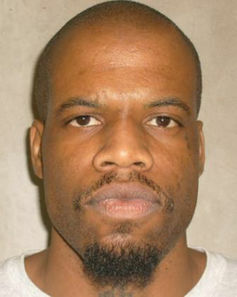 Gilmore, guilty of murdering two men during a 24-hour spree, insisted on being executed and chose to die by firing squad. It is possible that if this mentally disturbed, indeed suicidal man, had not elected to be shot that day, the history of the death penalty would have been completely different and the lethal injection never invented. As it was, Gilmore’s intransigence over the issue of his destruction meant that the death penalty was acceptable once more and states were faced with a series of tough choices. Should they kill or not? If so, what’s the best way of going about it? And how were the states that eventually reinstated capital punishment going to answer to legal challenges based on the Eighth Amendment that outlawed any form of punishment that was “cruel or unusual”? Enter Jay Chapman, a young forensic pathologist with no medical expertise in the field of pharmacology, who was tasked by an Oklahoma legislator to develop a more humane method of execution than the firing squad, hanging or the electric chair. It was a chance event that may have been precipitated by a simple remark made by Chapman that animals are put to death more humanely than humans. Such a bald comparison between man and beast inspired strong feelings in the Oklahoma legislature and Chapman was asked to right this wrong by developing a safe, effective and humane drug protocol for the now resurgent killing states to use. US states that retain the death penalty on their statute books. We simply took the standard set for anaesthesia in surgical procedures, then all we did was take the amounts of drugs to lethal levels recommended by a toxicologist. This standard set consisted of three drugs: Sodium Thiopental to bring about unconsciousness, Pancuronium Bromide which paralyses the body, and Potassium Chloride to stop the heart. It was the potassium which did the actual killing, the other two drugs were applied rather to ameliorate its searing effects so that the patient could die violently of a heart attack, yet peacefully and without pain. Since its inception, around 1,000 people have been killed this way in the US according to Amnesty International. Lethal injection is by far the most favoured mode of execution there – and is a system that has been exported around the world. People talk about the drug not being “tested”“. What does that mean? Should we be lining people up against the wall and testing them with different legal drugs? Ludicrous as this suggestion may sound, that appears to be what penitentiaries across the country have been doing, due to a complex set of global circumstances that means the favoured three-drug model is no longer possible simply because the European pharma companies that used to supply these drugs have since refused to do so. In 2009, Hospira – the company that supplied that crucial first drug Thiopental (crucial because it allowed the killing states to prove that the lethal injection was humane) – suddenly found that it could no longer source its active ingredients in America. After an exhaustive search it found a company near Milan in Italy which agreed to provide the missing component. But once the Italian government caught wind of what the drug was being used for, it refused to allow its export. This was to provide a pattern that was initially ad hoc but eventually became a semi-official embargo. First Britain, then Germany suspended the rights of companies to export drugs to America for use in lethal injections. Oklahoma is called the Sooner State and has a reputation of being first to the party. In the case of the lethal injection, this reputation is deserved, for when they found out they could no longer source Thiopental they switched to another drug, Pentobarbital, supplied by a company based in Illinois called Lundbeck. 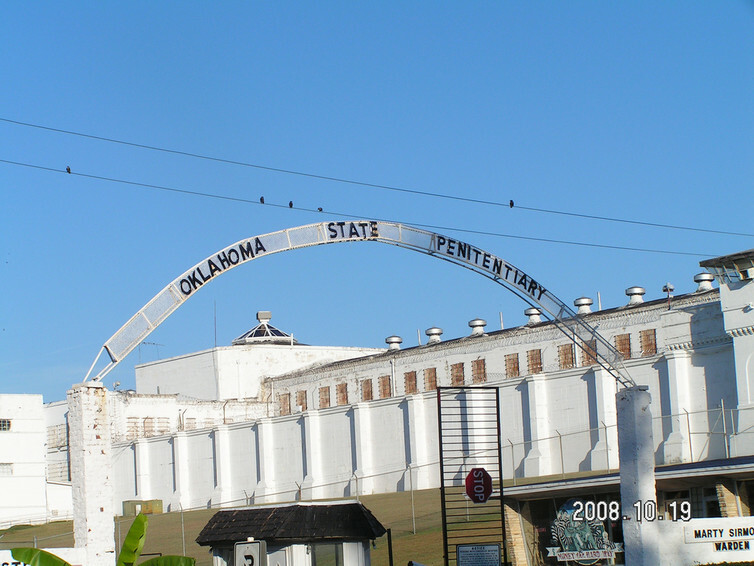 Pentobarbital is a pretty good switch for Thiopental – but perhaps officials at Oklahoma state pen should have paid attention to the name of the company. Lundbeck is a Danish company and, when the liberal Danes discovered what their Pentobarbital was actually being used for – not for treating seizures as it was designed to do but for masking them – they ceased to ship the drug stateside. By then it was 2011, which proved to be a bad year for the lethal injection. The halting of supplies by Lundbeck was followed by a Europe-wide decision of nearly every big pharmaceutical company to refuse to provide any drugs to America for lethal injections, an embargo encouraged and backed by the European Union itself. The execution chamber in San Quentin prison in California. The embargo slowly took effect. By 2013 the amounts of lethal stock in the drug cupboards of Texas, Ohio and Oklahoma had dwindled to such a degree that death by lethal injection was, for all intents and purposes, foreclosed. By 2015 the number of executions in the 31 states still using this form of extreme punishment was down to just 28, compared to 98 in 1999. Although this dramatic reduction has been a massive global success for abolitionism, it is not a definitive victory by any means – the death penalty is being defeated not because it is immoral, unconstitutional or because it contravenes the Eighth Amendment. Rather, it is abolition by a technicality – you can use the drugs but only if you can find them. And, in any case, abolition by technicality has not proved sufficient to put an end to state-sponsored killing. Faced with the possibility of not being able to kill their criminals, in 2014 many death penalty states started to simply try other drugs to see how they kill. For although the lethal injection always came with a veneer of medical legitimacy, it was never a truly medical procedure. There was no medical evidence that the original drug combination was safe and painless – quite the contrary – so what was to stop states trying other drugs? Nothing, it transpires, nothing legally and nothing medically. So that’s what they started to do. On April 29, 2014 the state of Oklahoma executed a man called Clayton Lockett for his terrible crimes. They didn’t have the right drugs to kill Lockett and they didn’t have the right medical staff on hand either, but that didn’t dissuade them. Unfortunately, things went very wrong indeed. Clayton Lockett took over an hour to die. It was decided to try a new batch of drugs that was doing the rounds now that the key drugs were no longer being shipped from Europe. Instead of Pentobarbital, they chose Midazolam, not a very good killing drug to say the least as it is a sedative primarily used on children and the aged because its effects are so mild. But it was not just ineffective drugs that led to the terrible botching of Lockett’s death – Oklahoma has since been criticised for a lack of technical know-how in the killing room that day. It began when the executioners tried to insert a needle into the arm of Clayton Lockett, usually a routine procedure. The executioners repeatedly tried and repeatedly failed. Eventually they found a vein in Lockett’s groin, at which point the warden asked for a “modesty sheet”. The provision of the sheet preserved Lockett’s modesty, perhaps, but it also meant that the staff couldn’t see what they were doing – and, after 16 minutes, the blinds were drawn which meant that those legally permitted to observe the procedure were no longer able to observe the procedure. Behind the curtain it would appear that the botching went on. It had taken nearly an hour to find a vein and during this interminable search it was observed that the IV had infiltrated tissue. This meant the treatment could fail and would probably produce undue suffering. Finally, outside the chamber, corrections director Robert Patton and general council Steve Mullins, argued and then agreed to stay the execution. Unfortunately, in the meantime, what the executioners had been unable to achieve through intention, they had brought about by ineptitude. Lockett, after more than an hour – according to a timeline released by the Oklahoma Department of Corrections – had died of a heart attack. A lethal injection procedure is supposed to take about 15 minutes. Even at this stage it was argued that Lockett could have, and should have, been revived, so that he could be nursed to health and killed “properly” at a later date. In the end this did not happen, which was yet another breach of standard procedure. Oklahoma State Penitentiary which staged the botched execution of Clayton Lockett in 2014. By the end of the whole appalling Grand Guignol staged in Oklahoma that day, it was unclear if the untested drugs were the cause of Lockett’s suffering or not, but, as reports came in from other botchings using similar drug combinations, such as the extended asphyxiations of Joseph R Wood III in July 2014, and Dennis McGuire in January 2015, it became clear that these new protocols had transformed the rapid efficiency of the lethal injection into an extended mode of torture. The “Oklahoma report” was released in May of this year criticising, in no uncertain terms, the officials whose professional duty it had been to carry out executions in recent years. Here are some of the indictments levelled against Oklahoma’s legalised killing machine after a string of botched executions, including that of Lockett. Their pharmacist ordered the wrong drugs. Even then a top official in the governor’s office insisted the execution go ahead, with the wrong drug. The attitude of those in charge of the executions was described as “careless, cavalier and in some circumstances dismissive of established procedures that were intended to guard against the very mistakes that occurred”. More than once the state used the incorrect drug to kill a prisoner, and – in a strange legal twist – when the state administered the incorrect drugs, this meant that prisoners were not legally allowed to challenge the procedure before their deaths. Mullins was singled out by the report as “flippant and reckless”, allowing executions to go ahead even though he knew the incorrect drugs had been obtained. He has since quit his post. The list of errors goes on and on; the report is more than 100 pages long. Some of the methods that states have used to get around the recent drugs embargo are worthy of a HBO mini-series. Some have been sourcing non-regulated versions of key drugs in India and importing them, illegally, into the US. How do we know? Because the FDA caught them. Other states have made extensive use of poorly regulated compound drug companies to synthesise the embargoed drugs. The FDA is cracking down on this practice. The awful, tragic irony is that these state authorities charged with taking the lives of criminals are attempting suspect acts in order to continue doing so. In one recent case, a consignment of drugs was paid for in cash with no receipts, making it impossible to trace the provenance or quality of the drugs in question. To compound this obsession with secrecy, even the staff charged with carrying out the execution were paid in cash. Around the same time as the news came out of the Oklahoma hearing, Pfizer announced that it would no longer supply its products to any agency involved in capital punishment. This effectively means that the embargo is now complete and abolition has effectively been achieved on a technicality. But this is neither safe nor satisfactory. The only satisfactory end to this barbaric practise will be when the US Supreme Court acts. But the court, when last given the chance in 2015 – largely as a result of the Lockett killing – to ban capital punishment refused to do so … but only by a margin of five to four. The embargo on drugs inevitably feeds into this process. The public may not give a damn about the difference between Pentobarbital and Midazolam, but people are starting to sit up and take notice when they see news reports about botched executions. So it seems likely that the practice of experimenting with new drug combinations will have a limited shelf life, as the public reactions to increased botching will be too negative. 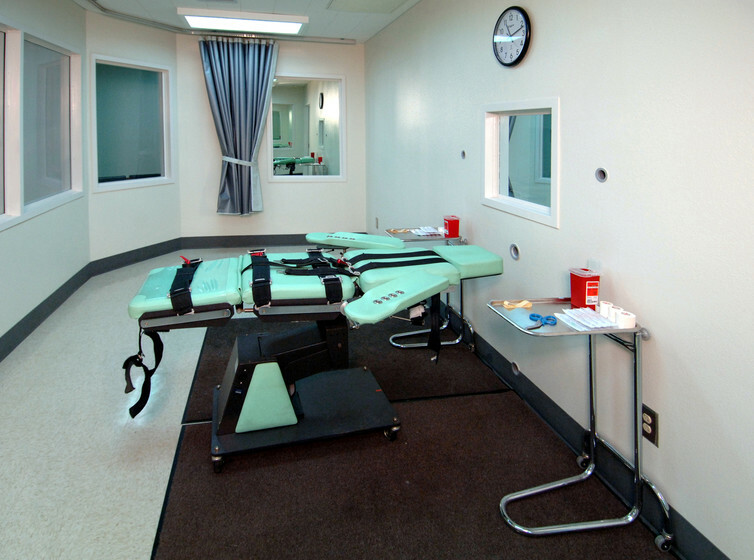 Even though most people in the US still favour the death penalty, those who are in control of its fate – the judges – are themselves subject to more localised pressures of opinion and, of course, must uphold the Eighth Amendment. Deaths by botching are clearly in breach of that. So much so that, following Lockett’s execution the US president, Barack Obama, called for a federal review of America’s death penalty procedures: Americans should “ask ourselves some difficult and profound questions around these issues”, he said. Which raises the question, what happens next? Already several states have started to look for alternatives. Many still have the right to execute by other means on their statute books. Some states have spoken of using the firing squad, others nitrogen gas. And then there is, of course, Hollywood’s favourite, “Old Sparky” (the electric chair). Yet most states are painfully aware of the effect these more graphically violent and symbolically loaded methods may have on a wavering public opinion. At the moment, many continue to play a dangerous game to keep on killing criminals. 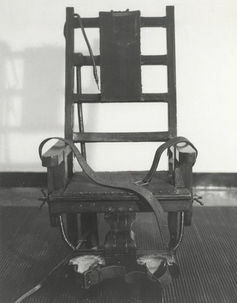 ‘Old Sparky’: the electric chair at Sing Sing penitentiary. Yet it is not only the 31 states who have capital punishment on their books that face tricky decisions. The whole issue of capital punishment teeters on a knife edge. If you find the latest tactics of places such as Oklahoma questionable, is not the current abolitionist strategy problematic as well? It is undoubtedly the case that the drug embargo has led to greater suffering on the part of those who have still been executed by lethal injection. If you are an abolitionist, are you comfortable with suspension on a technicality, when this pushes states to use crueller means to kill?